Offering the best of style and comfort, this top will be an ideal pick for your little one. 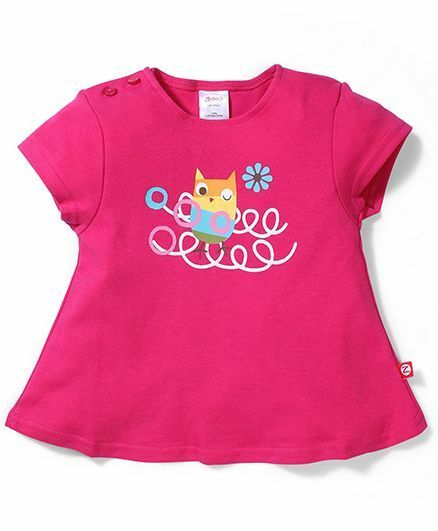 Fashioned using excellent quality fabric, this top is skin-friendly. Captivating design and attractive shade offers an eye-catching appeal. Zutano offers a complete range of unique baby clothes for both newborns and toddlers. From playful tops and bottoms, to eye-catchy dresses, practical newborn baby onesies, signature cozie jackets and hoodies all under one roof.